It’s no longer enough ”just” being on. Now you have to be ”fast and frequent”! In record time, content marketing has gone from taking its first tentative baby steps to becoming a demanding teenager. Everything now has to move at breakneck speed, and you'd better get used to it, because it's all about being the first and the best, over and over again. You’d better get used to it – things have got to go fast. 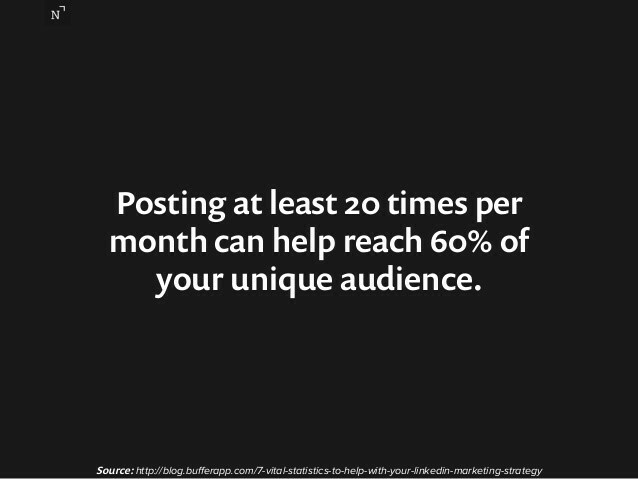 And this is regardless of whether you communicate on Facebook, LinkedIn, blogs or a website. In fact, things need to move so fast that there’s no guarantee you’ll have enough time to double check or get all the necessary approvals that previously were such strict requirements. If you want to make sure that your content doesn’t drown among your competitors’ messages or becomes categorised as ”old news”, then something’s got to be happening all the time. According to ChartBeat, more than 92,000 articles are posted on the net on a daily basis. Every single day. All year round. And these aren’t even the most recent figures, which haven’t officially been published yet. Although a cautious estimate suggests that already by the beginning of 2015, we rounded 100,000 articles a day. But panic not. There’s still a good chance that your customers and potential customers will notice your content… if you get a move on! The only question is, can you be in too much of a hurry? Haste will surely lead to compromising on the details and possibly even the quality, which is a pretty mandatory requirement to achieve success in the digital world. According to Facebook, getting something done is more important than doing it perfectly. These sayings have become mantras in companies where the turnover rate is high and the competition is fierce, and where it is also relatively easy to adjust any inaccuracies and repair things that don’t work. You can be sure you won’t find the same mantras at companies like BMW and Airbus aircraft manufacturers, where thoroughness is still undoubtedly the businesses’ permeating factor. But the fact that a company like Kraft Foods has adopted the same mantras in the content marketing area as Facebook perhaps makes it a noteworthy trend for various different types of businesses after all. 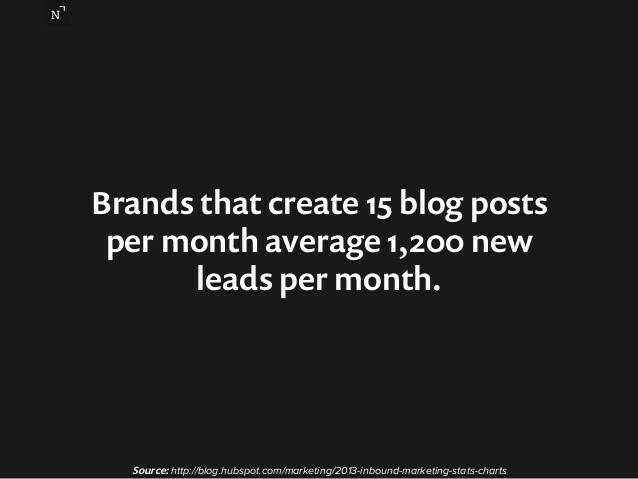 How much content should you post – and how often? At NewsCred, they are in no doubt that content should be posted in a steady stream. But don’t feel panicked by the above recommendations in the picture, as it’s important to remember that all kinds of platforms are included here. You should also note that it’s not just long reports or rambling articles, but just as much shorter content in the form of small stories. The most important issues to remember here are to keep it relevant, interesting and useful for the reader. The figures speak for themselves – content creates new opportunities for new business. What about the language issue? Can’t you just get by using English? Translating into local languages has never been more in focus. Even Google and Facebook have realised that they haven’t covered all languages and are currently working on finding out which languages they need to start communicating in – to reach the next billion users. It’s crazy numbers. 75 % only act when they can find information in their mother tongue. It’s only natural that international companies contemplate whether they can make do with posting their content in English - by far the most content on the internet is in English. But it’s a big mistake to assume that everyone who uses the internet speaks and understands English - especially when it comes to taking the final purchasing decision. Approx 70 % of all internet users have another first language than English. Add to this the fact that a massive 75 % of users would rather avoid making important purchase decisions unless the product information is in their own language! Approx. 56 % : of all internet content is in English. Approx. 5 % : of the earth’s population has English as their first language. Content needs to be posted fast and in local languages. This requires manpower – or optimised systems! 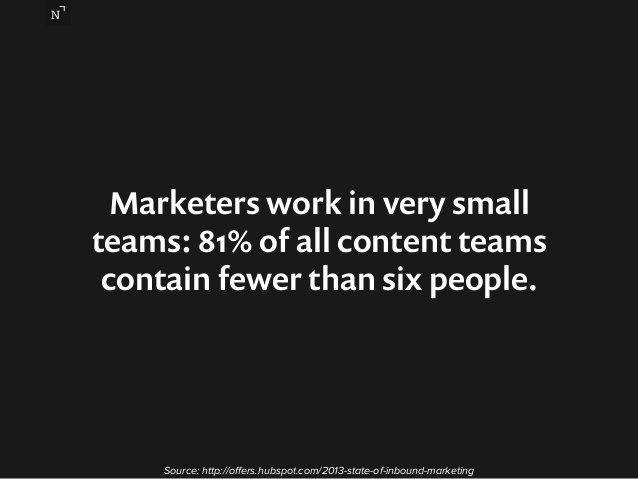 It transpires that the vast majority of content marketing departments are quite small. In a study undertaken by NewsCred, it found that 81% of all content teams in US companies consist of less than six people. These fewer than six people are busy. And they certainly won’t have any less to do in the future. Some companies choose to outsource the actual news part to PR or content marketing agencies, while others prefer to continue producing, localising and publishing the material themselves. Whatever the strategy is, API or integration solutions for CMS systems are being looked at more than ever before. For what’s the cheapest and most efficient way to create and publish content in multiple languages? The answer is obvious - by optimizing processes. This allows even minor and smaller companies to compete with large companies to be first to post the latest and most relevant content, enabling them to steal the picture and create sales without it having to cost 12 new employees. Customised content, delivered on all platforms, in local languages, quickly and securely, has turned the communication industry and marketing departments upside down. 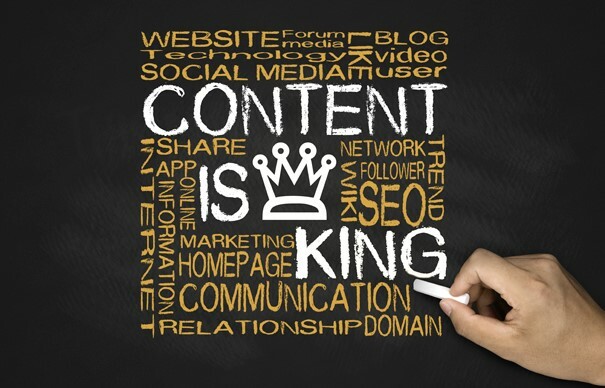 ”Content is king”, and the content itself is now also being used to develop large advertising campaigns. WaggenerEdstrøm Communications believes that content affects advertising to a far greater extent today than the other way around. The marketing departments create creative content and see what works in reality in the digital market place and then optimise the content for large advertising campaigns. In this way, you can both homogenise and strengthen messages on all media and platforms. Under.me sells underwear on the internet. When the company launched a German-language version of their website, the conversion rate rose from 1 to 2%. Likewise, they also experienced an increase in sales when they translated their web shop into a French-language version – taking the total sales in France from comprising 0.67% of the Group’s turnover to comprising 1 %. Demandbase launched a BtB marketing Sky, designed to help BtB advertisers in choosing the right content strategy. Among other things, they involved white papers, infographics, webinars, Slideshare and live presentations. The campaign resulted in 1,700 leads, 125 webinar participants, 5,000 downloads from SlideShare and 1 million USD in new business. Xerox developed a ”Get optimistic” campaign to make contact with 30 major customers. They entered a partnership with Forbes and together they created a magazine that offered relevant business tips. 70% of the target group used the interactive microsite, readership increased by 300-400% compared to previous email campaigns, the campaign generated 20,000 new contacts, created over 1,000 confirmed meetings and created a potential turnover of 1.3 billion USD. Content strategy aimed at enabling cross-cultural information in global companies. One year after implementing the strategy, SAP Latin America had more than 100,000 fans and followers (a growth of 900%) and achieved a 17% interaction rate in the entire region. A social app aimed at specific business centres received more than 12,000 visitors and created engagement in 15% of the target group. SAP has four Facebook accounts, four Twitter feeds and two LinkedIn accounts. The various accounts are divided by language (e.g. Portuguese and Spanish) rather than by country, and the goal is to achieve a split of 20 % promotional material and 80 % interesting and engaging content material in the SAP forum.